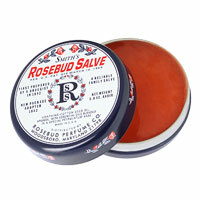 For over a century, the Smith's Rosebud Salve has been a favourite as an exquisite lip moisturiser and natural looking lip gloss! 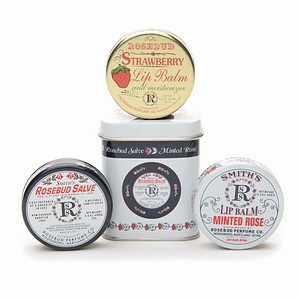 Now, I am pleased to be able to offer the world-famous, award winning, Smith's Rosebud Salve in the UK! Loyal Fans such as Katherine Heigl & Eva Longoria to renowned makeup artists such as Vincent Longo for Gwenyth Paltrow, do not leave home without our products. The full and wonderful product range is now to be shared with the UK! 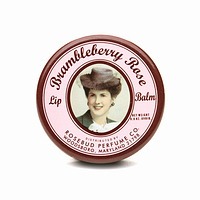 Visit our Rosebud Products, read their descriptions, try them and you too will never look back! Do not forget to visit our Blog for Tips on Usage, Press Releases, Fan Club & Feedback! Go and Enjoy! Winner of the 2001 & 2002 Health and Beauty Awards for Lifetime Achievement and a family essential since 1895!! A wonderfully textured and gently scented highly effective multi-usage salve used worldwide by renowned makeup artists, celebrities and loyal households. The formula remains a Trade Secret and a favourite against its competitors for its relief on: chapped lips, dry & itchy skin, eczema, razor & minor burns, to tame unruly hair, prep & enhance skin for film & fashion and for its exquisite texture and smell. Simply a must-have!! Our same award winning product now in the convenience of a lip balm tube. New worldwide!!! Do not miss the opportunity to purchase this beautiful Vintage Tin containing an incredibly popular trio!! Wonderful as a gift and a perfect complement to each other, this is the perfect trio for all to have! Inside you will find the Original Smith's Rosebud Salve, an absolute must for any skin irritation or dryness, as a face & hand treatment and as a household & handbag staple! To perfectly supplement our famous product, we have included our Rosebud Strawberry Lip Balm - formulated to aid in protecting and moisturising lips, cuticles and elbows from the drying effects of the weather. The gorgeous aroma of Strawberry Shortcake attracts Hollywood Celebrities, skiers and sun worshippers alike for immediate hydration! 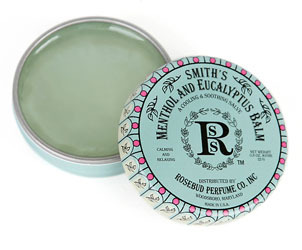 Lastly, but certainly not least, we introduced our Smith's Minted Rose Balm! 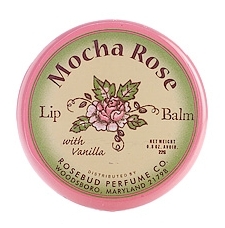 A dewy rose tinted lip balm used to moisturise, heal and gloss and subtly plump lips! The peppermint acts as an anti-inflammatory whose combination provides amazing results for massages from head to toe! A personal favourite for its traditional rose characteristics but with a delicate and absolutely wonderful minty kick! All the above three products can also be bought individually so it is always easy to restock your collectible Vintage Tin! Winner of the 2008 Golden Compact Award!! 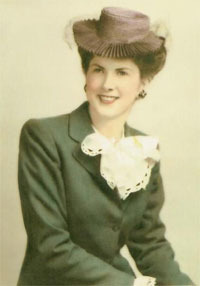 Created and graced by "Miss Vivian's" beauty, President of the Manufacturing Company, Rosebud Perfume Company. A wonderfully nostalgic blend of wild berry flavours with overtones of honey and vanilla evoking warm memories of freshly baked pies and the simple charm of days gone by. This exciting aromatic topical lip and body balm has been moisturised with Shea Butter and Vitamin E to hydrate chaffed and dry areas. The warm scent is best experienced when applied to the pulse points as a sensuous perfume. Nominated for the 2009 Golden Compact Award! A wonderfully aromatic blend of Trade Secret Essential Oils infused with smooth, creamy Mocha and rich Chocolate and accented with a hint of Vanilla & Rose. An emollient flavourful lip balm enriched with Shea Butter and Vitamin E providing dewy moisture to parched skin. An absolutely perfect cooling salve to soothe and relief minor skin irritations associated with colds, allergies, minor burns, insect bites and an incredible rub for muscular discomfort. A truly wonderful balm for athletes who suffer from chaffing or running blisters. A gentle yet refreshing scented balm that once used, you will wonder how you ever got along without it!! We accept payment by Paypal on our online store. So you can pay by credit card, a bank account, or just Paypal!